Traffic passes through the Lake Tahoe Basin boundary by way of Highway 89 on Dec. 21. 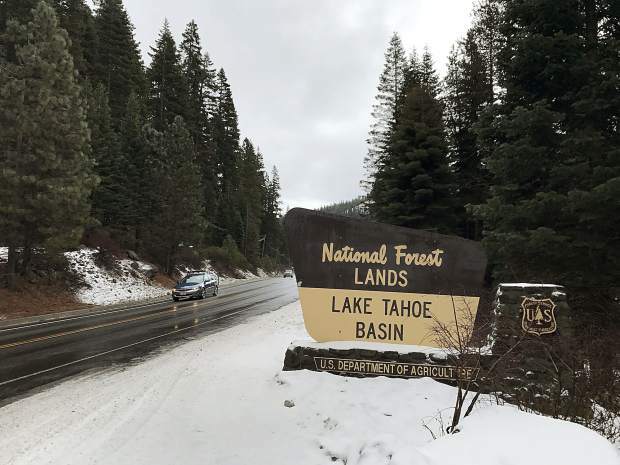 TAHOE CITY, Calif. — Instead of a few inches of snow, last week’s storm brought a few inches of rain to lower elevations throughout the Truckee-Tahoe region. While the rain restored Lake Tahoe’s level to its natural rim, it was the last thing skiers and snowboarders wanted heading into the holidays. 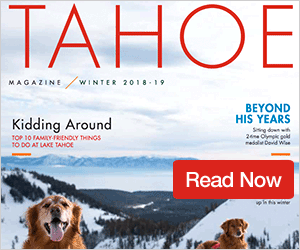 Yet, despite the recent lack of snowfall in the North Lake Tahoe area — and the fact a winter storm is expected to bring a foot or more of snow to the region by Christmas Eve — tourism officials remain optimistic about the winter ahead. 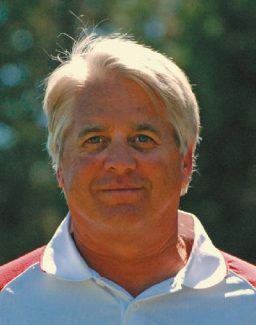 “Even with the rain, all of the ski areas have been reporting some snowfall, and the nice thing is there is top-to-bottom skiing at every resort,” North Lake Tahoe Resort Association CEO Sandy Evans Hall said Wednesday. Of the region’s 15 downhill ski resorts, only Granlibakken Tahoe and Donner Ski Ranch remained closed this week. According to both resorts’ websites, Granlibakken planned to open Friday, Dec. 23, while Donner Ski Ranch planned to open Saturday, Dec. 24, weather conditions permitting. NLTRA’s Weekly Lodging Barometer measures what percent of lodging properties in the area are reserved. Last weekend, the forecasted occupancy hovered around 53 percent, meaning that 53 percent of local lodging was expected to be in use on Dec. 17. That’s down from 63 percent last year, and 61 percent in 2014. This week’s barometer estimates that lodging will be 74 percent full on Saturday, Dec. 24, which is down from 85 percent on Christmas weekend last year, and 87 percent in 2014. 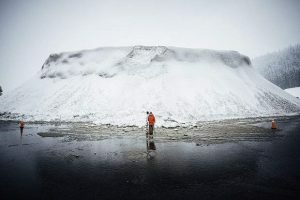 “I think that certainly things could change if we do see some significant snowfall,” she said. As for New Year’s weekend, lodging is expected to be 91 percent full on Dec. 31 this year. Hall added that even with the recent rainfall, the ski resorts she’s talked to haven’t reported many cancellations just because their policies limit guests from changing their plans at the minute. Meanwhile, DestiMetrics, a Colorado-based resort industry research firm, announced Dec. 15 that resort bookings for the entire Mountain West region (which includes Nevada and California) are off to a slow start this winter. But, the report does say that even though winter got off to a slow start, bookings look promising for the rest of the season. And in a press release sent out the same day, Dec. 15, AAA Nevada forecasted “record-breaking holiday travel” for the Mountain West. “Rising incomes and a desire to gather with family and friends should make this the most traveled holiday season ever recorded,” AAA Nevada spokesperson Cynthia Harris said in a statement. According to AAA’s projection, approximately 6.8 million Mountain West residents will travel by car to their holiday destinations between Dec. 23 and Jan. 2, which is a 1 percent increase from last year. AAA also projects that there will be a 3 percent increase in air travel from last’s holiday season. According to the National Weather Service, a winter storm warning is in effect from 4 a.m. Dec. 23 through 10 a.m. Dec. 24. As of 11:30 a.m. Thursday, the forecast for the storm is predicting anywhere from 8 to 16 inches of snow at lake level, and up to 2 feet possible above 7,000 feet. A Dec. 22 statement from Visit California reported that the ski industry brings in nearly $1.3 billion to the state’s economy, according to the California Ski Industry Association.